Have a DVD player? 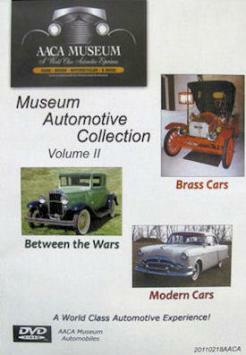 Now you can take the AACA Museum experience home and view parts of the collection in more detail. Each year the AACA Museum will introduce limited edition DVDs of past exhibits that you may have missed or exclusive shots not accessible to the public. *DVD images are the property of the AACA Museum and cannot be reproduced for commercial or personal use, this includes posting images, reproduction of DVD or sampling to forums, blogs (public or personel) without the permission of the AACA Museum (not to be confused with aaca.org).